I love white wines from Alsace. In general, they are aromatic wines, which can be dry or sweet (or somewhere in between), and I like them best when they have high acidity and blossom aromas, with stone fruit characteristics. Is Alsace in France or Germany? It is in fact in France, but you’d be forgiven if you asked this because it possesses a complete mix of the two cultures due to centuries of being in the middle of a tug of war. A long, thin stretch of land right on the border of France and Germany, it has a northern continental climate with no ocean influence and, because of the shelter and protection that the Vosges Mountains provide, it is one of the driest regions in France, with sunny summers and long, dry autumns. When it comes to growing vines, Alsace is a region of varied soils and the aspect is south to south-east facing. The finest vineyards are on the steepest slopes in the southern part of the region – too far north and the vineyards have the least protection from the Vosges. The lesser vineyards lie on the plain between the Vosges foothills and the Rhine River, where the vines are trained high to minimise the risk of spring frosts – they usually use the grapes here to make Cremant d’Alsace. On the slopes, where harvesting is done by hand, vines are trained low to benefit from radiated heat and they are planted in such a way as to get maximum exposure from the sun. Because of the sunny, dry conditions, there is low risk of disease among the vines and so organic and biodynamic viticulture is widely practised. Being a small producing area, most wines are made from 100% of the grape variety (but there are some blends using Pinot Blanc, Auxerrois and Sylvaner). 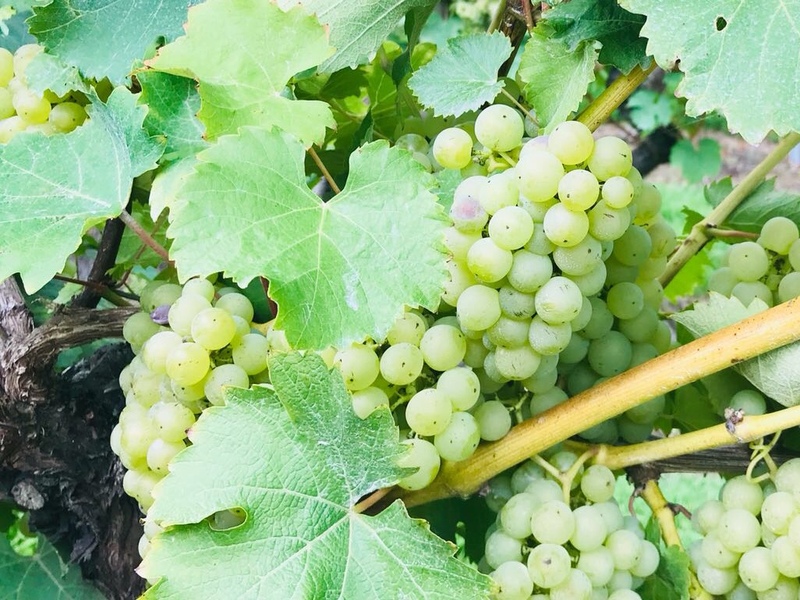 It is a white dominant region apart from a little bit of Pinot Noir, which is the only black grape permitted in Alsace, and they are best used for light, fruity reds or rosés. The four key grapes in Alsace are known as the ‘noble’ varieties: Riesling; Gewurtztraminer; Pinot Gris and Muscat. When classifying wines from Alsace, there are two Appellation Controllees: Alsace and Alsace Grand Cru. If the bottle is labelled ‘Alsace’, it represents the whole region and ‘Alsace Grand Cru’ represents 50 individual vineyards using the four noble grape varieties. If a single grape variety is on the label, 100% of the fruit must come from it. Both of the ACs are separated into two categories: Selection de Grains Nobles and Vendanges Tardives. SGN wines have used noble rot and are sweet, and VT (which means ‘Late Harvest’) wines have used very ripe grapes that are high in sugar, of which some might be raisined or have been subjected to noble rot. These wines aren’t necessarily sweet – they can be dry through to medium-sweet. Traditionally Alsace and Alsace Grand Cru wines were dry, but now they are increasingly off-dry and medium-dry. Wines that are labelled Edelzwicker or Gentil are inexpensive blended wines.